Its really that simple. You will receive 2 12oz bags of your choice once a month or every 2 weeks depending on your selection and be billed automatically. We roast our coffee in small batches on a weekly basis in San Diego, CA. All orders ship on Thursdays via 2-3 day priority mail so your coffee will usually arrive on Saturday or Monday if you are on the East Coast. You can always log into your account and manage your subscription and cancel at anytime. Feel free to change up the coffee or the frequency. You can alway get your coffee delivered every 2 weeks if you find once a month is not enough. In addition, we have 1, 3 and 4 bag subscriptions. All subscriptions include shipping so you can drink coffee like a Warrior. Our 4 bag craft coffee subscription is for real coffee warriors. Those who drink coffee throughout the day and share the joy with others. Keep up to 4 origins and roasts around for whatever the occasion may be. Have an espresso machine at home or in the office? Don’t forget to add a bag of our Espresso Roast. Whether you want 4 bags of the same roast or 4 different roasts and origins to keep your coffee drinking days interesting Achilles Coffee has you covered. 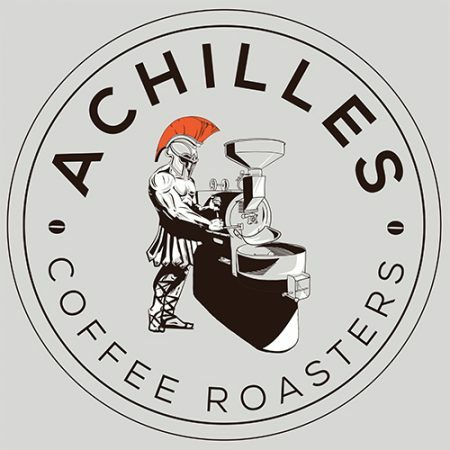 Achilles Coffee Roasters offers a variety of organic, free-trade and Rain Forest Alliance (RFA) offerings to satisfy every coffee lover. Single origins and custom coffee blends, light, medium and dark roast coffees. Our 4 bag coffee subscription also makes a great gift for the coffee drinker in your life. So surprise them with 3 bags of Achilles Coffee shipped to their door every month or every 2 weeks. Its easy, check out like you normally would and simply have the coffee shipped to an alternative address. Not sure what to order? No problem, here is a list of our offerings. 1. Windansea Roast – Light Roast Ethiopian Yirgacheffe, Kochere – Bright, Juicy, Blueberry Notes and Lemond Acidity. 5. San Ysidro – Medium Roast Colombia, Tolima – Clean Finish, Milky Body and Almond and Molasses Notes. 6.Gaslamp Blend- Our Popular Blend of Medium and Dark Roast Coffees from Guatemala and Papua New Guinea. 7. Sunset Cliffs Roast – Dark Roast Papua New Guinea – Bold with Chocolate, Caramel and Spice Notes. 9. Balboa Park Decaf – Dark Roast Peru Swiss Water Process – Clean Finish with Stonefruit and Chocolate Notes.